Built in Canada by Hawker De Havilland as a rugged STOL (Short Take Off & Landing) battlefield cargo aircraft. Designed to land on rough dirt runways or roads right near the battle front to quickly resupply troops and evacuate wounded. The Caribou can take-off in ~220m and land in ~200m (even less into a head wind). The Caribou was first flown in July 1958. 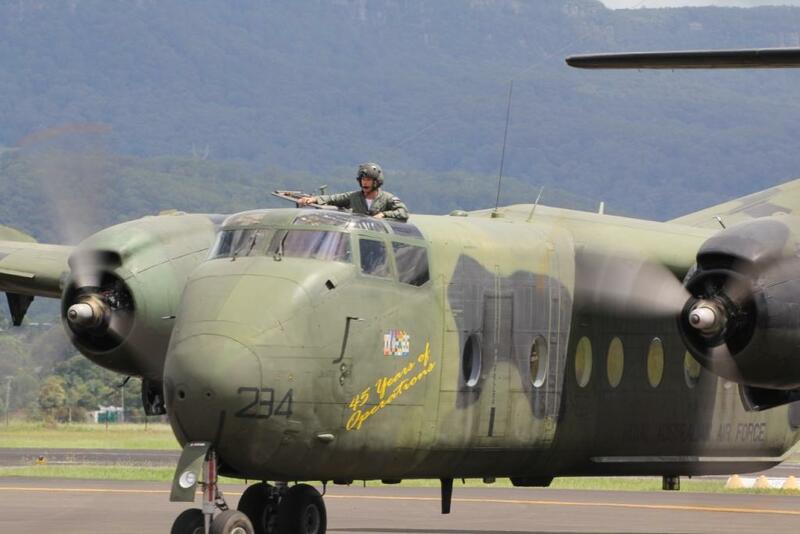 The RAAF ordered its first Caribou in 1963 to replace the existing Dakota transport aircraft. A total of 29 were acquired over the years. The Caribou can carry 32 fully armed troops, 22 stretcher cases or 2 x Land Rover (Jeep) or up to ~4 tonnes of supplies and munitions. It has a large rear access ramp for easy unloading and loading. These can be opened in flight to allow paratroopers to jump out or to drop cargo with parachutes. Our aircraft A4-210 & A4-234 entered RAAF service in late 1964 and 1965 respectively. Both are Vietnam veterans where they were part of RAAF Transport Flight Vietnam. A4-234 was famously the last RAAF aircraft out of Vietnam and flew home to Australia in February 1972. Both aircraft were retired from the RAAF service in late 2009 with ~19,000 flight hours each. 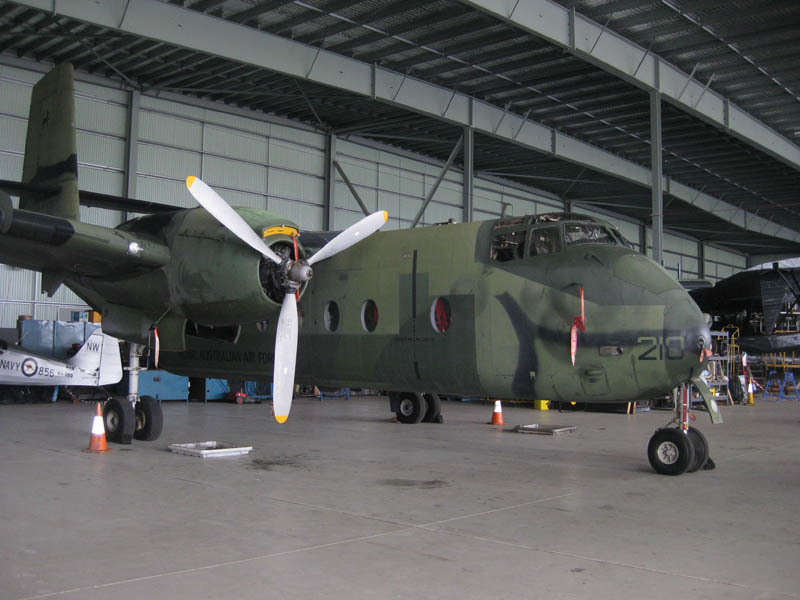 They were kept in open air storage at Oakey until 2011 when HARS successfully won the tender for the two aircraft plus spares. Both aircraft are totally airworthy and are in excellent condition. They are a flying memorial to all Australian Service personnel who served in the Vietnam War.